Home » News » New products released » Affordable product ! Mart tool for Landrover Jaguar KVM keys add and all keys lost programing. Affordable product ! Mart tool for Landrover Jaguar KVM keys add and all keys lost programing. Mart tool for Landrover Jaguar KVM keys add and all keys lost programing. 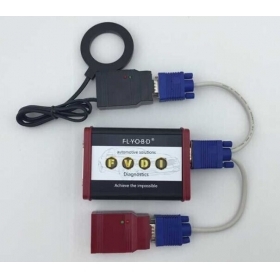 Mart tool is designed to add new keys and program new keys when all keys lost for Landrover and Jaguar KVM keys with Number FK72 HPLA. Firstly you need to use other devices to read out the D-Flash and EEE data in the KVM, then use Mart tool to generate new key and data, finally write back to KVM. Don't you think it is very easy for a common locksmith? More important, Mart tool is affordable. If you have any question, please contact our sales.